Description: The rooster is a symbol of honesty and good luck, which is why Ergotth pestered Zeuster to get him into arts & crafts to celebrate the New Year. These silly, yet intimidating roosterlike masks were the result of their combined creativity. 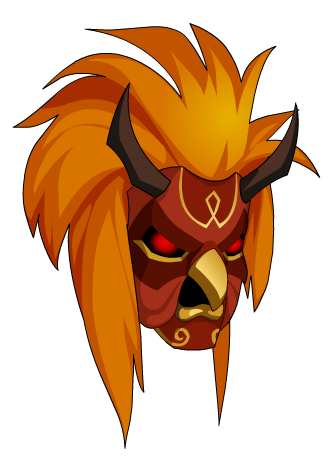 Hei Gong Ji Mask (Legend). Hei Gong Ji Mask (AC).